The first week of April was very significant for the community of Geraldton. Local services, businesses and community got together to launch an awareness raising week full of events to shed light on the devastating impact of family violence. 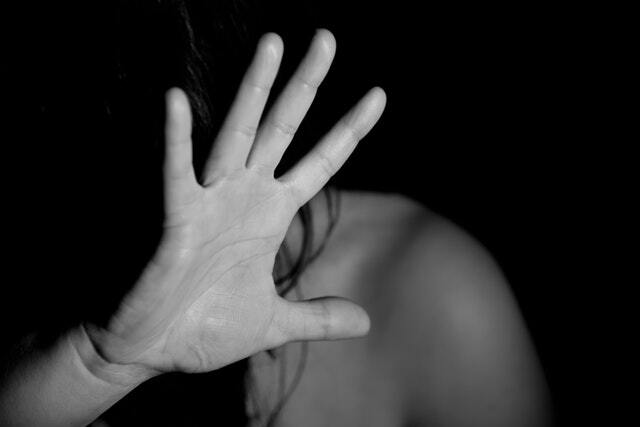 In Australia, 1 in 6 women have experienced physical or sexual violence and 1 in 5 have been sexually assaulted or threatened. These statistics are even more alarming at the local level. So in response to this, the Geraldton community joined together to make a stand together to say violence is never okay. Numbers and statistics do not convey the wider impact that family violence has within the community. They don’t represent the fear of a woman (and often their children) in hiding from their abusive partner, or of the wider family scared for the safety of their daughter, sister or grandchildren. Statistics do not capture the worry of the family violence counsellors who have helped deal with an incident and are constantly worrying if that person is okay. Health Communication Resources Inc. stands with the Geraldton community and all other communities to say violence is never okay. We have been first responders and seen the devastating impacts of family and domestic violence. We will continue to work tirelessly to raise awareness of family violence in the community by using the powerful tool of community media. Australian Aboriginal and Torres Strait Islander people experience higher rates of family violence than in the general population. The Australian Institute of Health and Welfare’s 2018 report found Indigenous women were 32 times as likely to be hospitalised due to family and domestic violence than non-Indigenous women. Indigenous women are also less likely to report abuse. Indigenous people in Australia often have higher risk factors for family violence such as poor housing and overcrowding, financial difficulties, unemployment and social stressors. However, it needs to be clear that the perpetrators of this violence are both Indigenous and non-Indigenous partners. Recently, an Aboriginal Elder spoke to me of his concerns of violence against women in the community. It saddened him, as traditional Aboriginal culture respects women as the givers of life, as nurturers, the same way Mother Nature gives and nurtures us. Both should be respected. However, it’s evident after not only speaking with this Elder, but many more communities across the Mid West and Gascoyne of Western Australia, that the intergenerational trauma of the invasion of Australia has caused a major impact on the life and culture of the one of the oldest cultures in the world. At HCR we work with Aboriginal communities to support them to develop their own health messages and campaigns which help deal with many of the risk factors for domestic and family violence. This approach allows local people to share their knowledge in a culturally relevant way for their local community. At HCR we work with Aboriginal people and support them to use their local knowledge, culture and language to develop health campaigns for their local community.